Once upon a time our dogs may have been mere pets, but these days they are (rightfully) regarded as members of the family. And as members of our family, we want the best for our furry friends. Unfortunately the majority of dog food products on the market are not able to offer premium nutrition for our beloved canines. Not only are most commercial dog foods lacking, but they can also be harmful for dogs. That’s why it’s beneficial to make your dog’s food yourself. While purchasing a big bag of dog chow might be the most convenient option, have you ever stopped to examine what’s inside of the food? I’m not just talking about the ingredients listed on the back of the bag, I’m talking about really getting into the harmful additives in commercial dog food that are harming our furry friends. Modern pet food has become a waste disposal system . Every year the FDA permits illegal waste that equals the weight of 1,300 Brooklyn Bridges to be dumped into commercial pet food products. While many consumers assume that they are purchasing a safe product for their pets, they are in fact buying into an illegal food waste disposal that can harm their animals. In a shocking discovery, most pet foods likely contain at least one ingredient that actually violates the federal law. The FDA actually allows diseased animal material to be added to pet food, using our animals’ bodies as a cheap waste disposal system for toxic material. Until these practices can be changed, the only logical response is to make your own dog food. easily keep track of fat and calorie consumption if your animal needs to lose weight. Homemade dog food is an overall fantastic solution to the loosely regulated commercial chow that is out on the market. 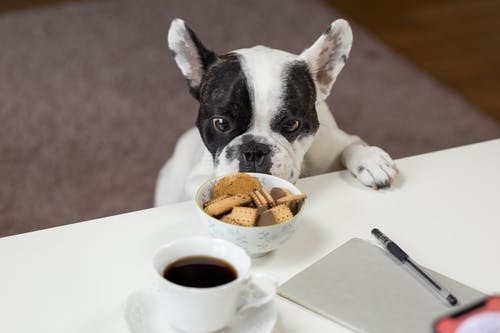 It is free of harmful additives and preservatives, and you can ensure that your pet is consuming proper protein levels instead of being filled up on grains and other popular commercial pet food fillers that don’t provide a whole lot of benefits to your pup. Additionally, many pet owners are searching for dog bad gas remedies . If you don’t know what it’s like to live with this stinky situation, then consider yourself lucky. Severe gas in dogs is affected by what the dog eats, how frequently he or she eats, and how quickly the food is consumed. Since diet is the leading contributor to canine flatulence, natural and healthy homemade diets are believed to greatly reduce the chance of upset stomachs that lead to all-? around stinky situations. One of the main reasons, if not the main reason, that some might shy away from making their own dog food is because they are worried about the time it will take. Many don’t even have the time to cook their own dinners, let alone prepare custom food for their canines. However, when you think about all of the benefits of making your own dog food, it’s really worth the extra effort. And the good news is this: it’s really not that hard to make dog food at home. That’s right, there are simple and easy to follow recipes that will allow you to prepare fresh, tasty dog food in bulk in order to keep you canine fueled for extended periods of time without eating up all of your valuable free time. Since dogs shouldn’t be eating any extra spices, oils, or fats, homemade dog food recipes are also easy to shop for and simple to prepare. You can whip up tasty, homemade kibble with ground turkey and brown rice as a base. Just add water, frozen veggies, and rosemary to complete the chow. Another popular protein base for dog food is salmon. This fish is extremely beneficial for both humans and canines, as it contains omega-3 fatty acids. This dog food recipe can be made with salmon, broccoli, squash, potatoes, carrots, and olive oil. It only takes a handful or two of fresh ingredients to whip up your own dog food. The best part is you will know exactly what your dog is consuming, which will guarantee the exclusion of additives and harmful fillers.